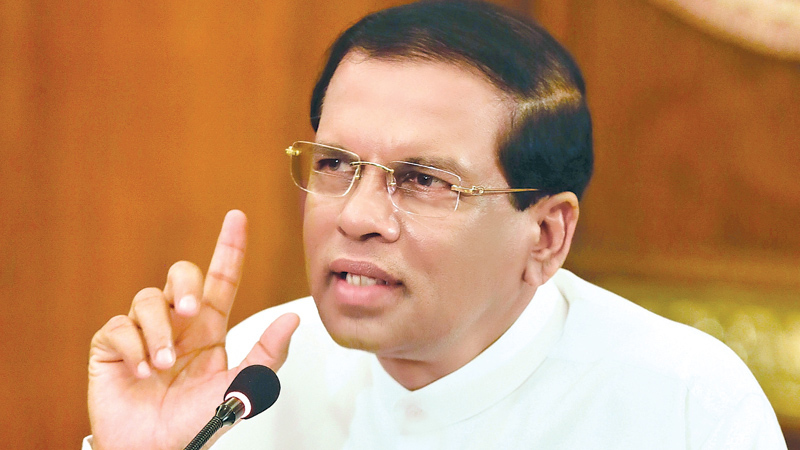 A five year Anti-corruption Action Plan will be launched by President Maithripala Sirisena in Colombo today aiming to create a corrupt free country. With the implementation of the anti-corruption action plan, there are provisions to take legal action against all involved in corruption including state and private sector officers, politicians and social activists. The objective of implementing the anti-corruption action plan is to achieve sustainable development in every sector. A significant sustainable development in economic, social, cultural, environmental sectors through eradicating fraud and corruption is targeted. The Anti-corruption five year Action Plan has been prepared after amending shortcomings of several Acts, which had been implemented to fight against fraud and corruptions including the Bribery Act. These weak ares in law have been amended within one year of receiving Cabinet approval on a three pronged basis of doing away corruption in every state institute, improving social and cultural values, implementing legal framework with a punishment mechanism for corruption. Opinions, directives and ideas of local and foreign experts, intellectuals and general public were gathered by holding around forty discussions over one year period by the Bribery or Corruption Commission. With the new anti-corruption plan, state officers are banned from accepting any form of bribe as gifts, presents or such from public for providing services. The President addressing several international forums, had noted that a powerful anti-corruption action plan would be implemented to create a corrupt free country. Accordingly the President vowed to implement this an anti-corruption mechanism at the United Nations’ Special Forum on anti-corruption held in June in Colombo in 2019.